I’m always looking for fun and creative ways to get more protein in my diet. And since, invariably, most of my clients can also benefit by increasing their protein consumption, they often ask me for suggestions. One of my favorite treats is chocolate protein pudding. I prepare it by blending one packet of sugar-free chocolate pudding mix with 16 ounces of Fairlife chocolate milk and one scoop of chocolate protein powder. 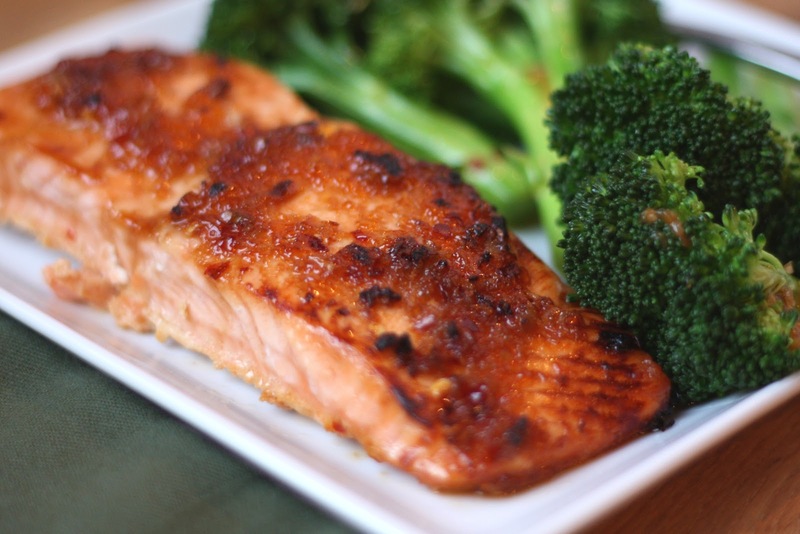 This simple recipe makes four – 4 ounce servings, with about 14 grams of protein per serving. Combine all of the ingredients in a blender and mix thoroughly. 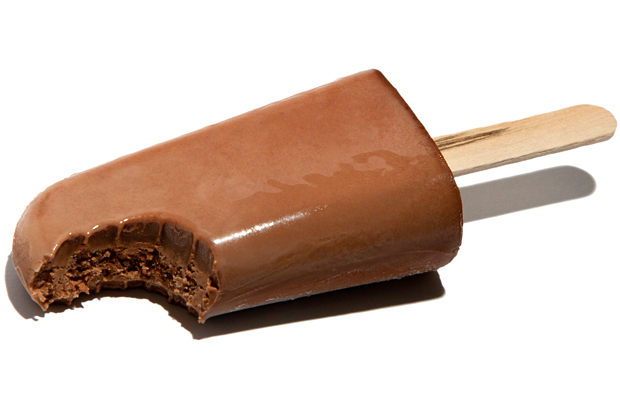 Pour into popsicle molds and place in your freezer overnight. Enjoy! Most of us are “under-proteined” and “over-carbohydrated” (okay… I know those aren’t real words, I made them up; stay with me). An active individual should aim for 0.6-0.8 grams of protein per pound of body weight, daily. For example, an active, athletic 150 pound person should consume between 90-120 grams of protein per day. Elite athletes may need as much as 1 gram of protein per pound of body weight, daily, to rebuild muscle given the physical demands of training, practices, and games. Sounds like a lot, huh? For most of our clients, we recommend ditching the antiquated “3 square meals per day” strategy in favor of 5-6 meals or snacks. Ideally, each of these meals or snacks should be balanced, including lean protein — about 20 grams, healthy fats, and clean carbs. Additionally, active individuals and athletes should always consume 20-30 grams of protein following a workout, practice, or game. The first step is to get an accurate idea of your current daily protein intake (from all sources). Next, calculate the difference between the amount of protein you should be getting and the amount you’re actually getting (my youngest daughter’s additional daily protein requirement, based on this equation, is about 35 grams). The rest sounds simple — make yourself a protein shake. In my daughter’s case, we mix 11 ounces of milk (11 grams protein) with one scoop chocolate whey protein powder (24 grams protein) in a blender/shaker container, the night before the day she will drink it. The simplicity of the strategy is the method in which the protein shake is consumed. Instead of guzzling it all at one time (which may be somewhat overwhelming and/or prohibitive for some folks, especially for larger quantity protein shakes), she takes a few sips, throughout the day. First thing in the morning or with breakfast, have a few sips of your protein shake. Mid-morning snack… a few more sips. Same goes for lunch, mid-afternoon snack, dinner, and evening snack. The goal is to finish your protein shake before you go to bed — a few sips at a time, then make another one for the following day. 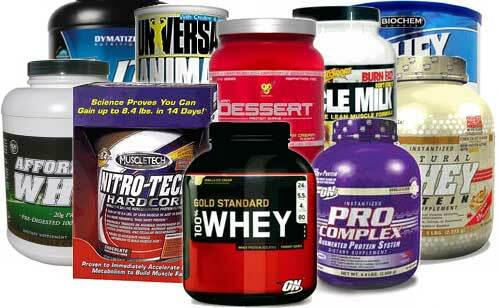 Protein consumption, following a workout, is an important component of the muscle and strength building process. But how, exactly, does the process work? Here’s a terrific resource from Men’s Health titled, How Protein Becomes Muscle. 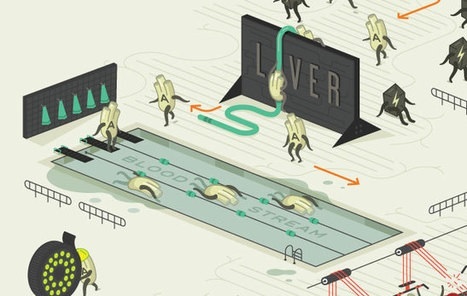 This animated video explains the process from ingestion through each subsequent stage — transport; response; repair and growth; and construction. If you want to build muscle, you need to get more protein. Active individuals should aim for 0.6-0.8 grams of protein per pound of body weight. Athletes may need even more. So, how should you distribute your daily protein intake? Scientists at Skidmore College (NY) found that individuals who divide their daily protein among six smaller meals, instead of three larger ones, build muscle faster. Start your day with protein, and try to get more than half of your recommended intake by lunch. Eggs for breakfast are a quick and easy way to get your morning protein. Add a mid-morning protein shake, and grilled chicken (or other lean meat) and Greek yogurt for lunch. 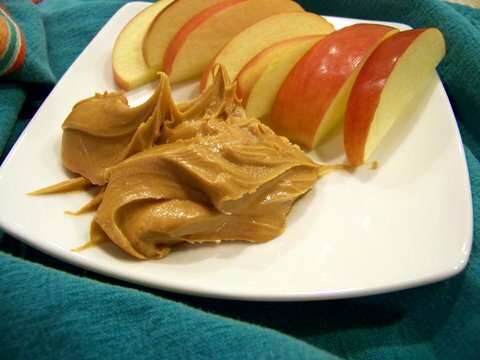 Peanut butter is another good way to get your protein with any meal or snack, any time of day. I like preparing a protein shake — 10-12 oz. of chocolate milk and a scoop of chocolate whey protein powder — and sipping it, throughout the day. It’s an easy way to add 30-40 grams of protein to my daily intake. Not only do most people not get enough protein in their diets, but their distribution of protein consumption throughout the day is not balanced – relatively little protein with breakfast and lunch, and lots of protein with dinner. In a University of Texas study, researchers found that muscle protein synthesis—the driving force behind your muscle growth—was 25 percent greater when people ate protein throughout the day (30 grams of protein per meal) compared to those who ate a bulk of their protein at dinner (10 grams for breakfast, 15 grams for lunch, and 65 grams for dinner). Research indicates that active individuals and athletes should consume at least 0.6-0.8 grams of protein per pound of body weight, every day (that’s 90-120 grams of protein a day for a 150-pound person). For some people, the thought of consuming that much protein in a day can seem overwhelming, but balancing your protein intake throughout the day – along with a little strategic planning and preparation – can simplify the process. 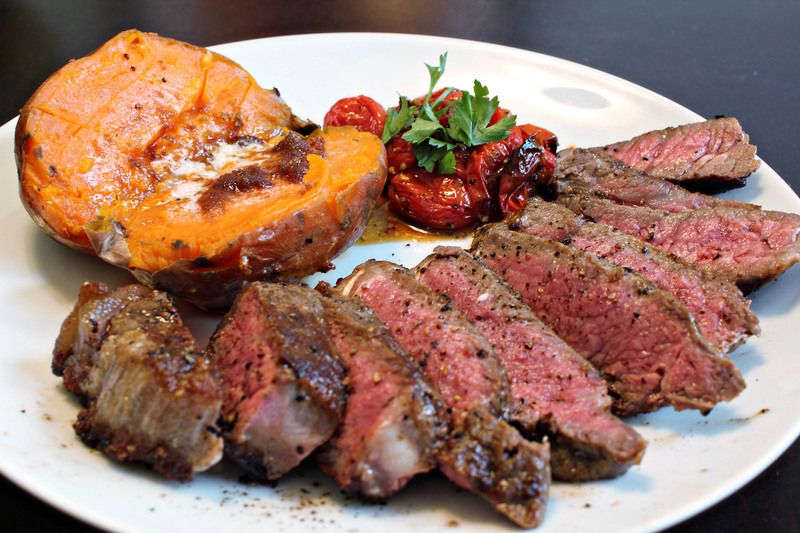 Here’s an article from Men’s Health titled, 13 Easy Ways to Get More Protein In Your Diet. 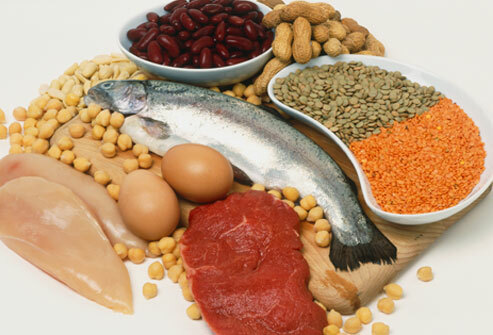 The article lists several fast and convenient ways to boost your protein intake. 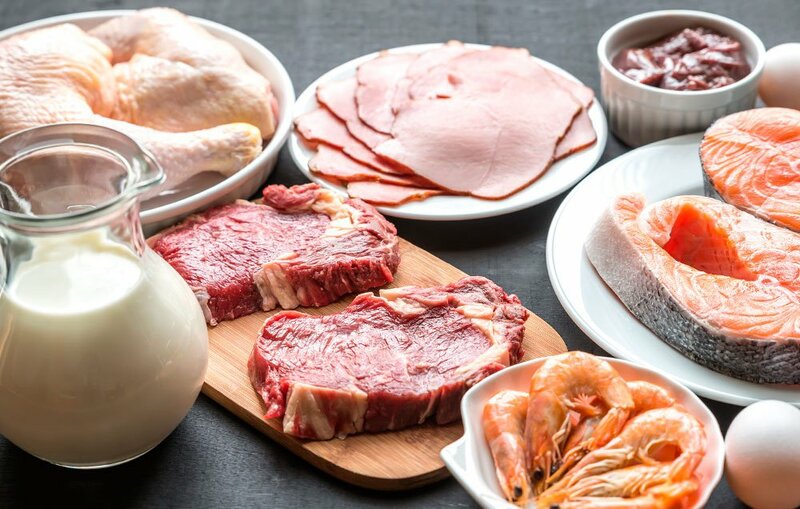 Here’s another resource – a previous blog post – with a simple but effective strategy for increasing your daily protein consumption: Increase Protein Consumption With This Simple Strategy. The benefits of dietary protein are well-documented. 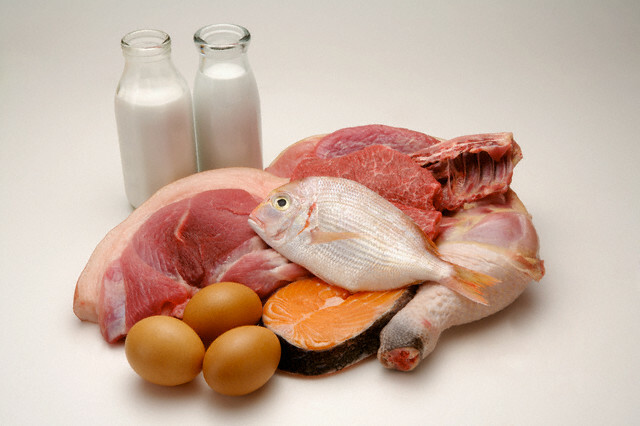 Unfortunately, most of us do not get enough protein in our diets. It is estimated that we should consume 0.6-0.8 grams of protein per pound of body weight, each day, to help protect against age-related muscle loss (that’s 105-140 grams of protein per day for a 175 pound man). Active individuals should aim for the upper end of this equation, and athletes may need even more. I found an interesting article in Prevention magazine that lists several protein-rich food sources that can help you get 20-30 grams of protein at each meal. I especially like the idea of supplementing your daily protein intake with whey protein powder. 8-10 oz. of milk, mixed with a scoop of whey protein powder, provides 30+ grams of quality protein. Mix it the night before, then drink it the next day — a few sips, throughout the day — at work, home, school, etc. Good nutrition bars are really hard to find (unless, of course, you have access to Whey Better Cookies). Sure, there are some good ones out there, but most are full of cheap fats, sugars, and unnecessary additives. The goal should be to find a portable, nutritious snack with a healthy balance of carbohydrates, fat, protein, and 5-10 grams of fiber. Most of us fall short of the recommended 38 grams of fiber per day. Fiber is a slow-digesting nutrient that can help you stave off hunger until your next meal. It just may be the ideal snack.